It is going to be Mother’s Day, which means we get a BREAK! It doesn’t happen often, so we take what we can get. 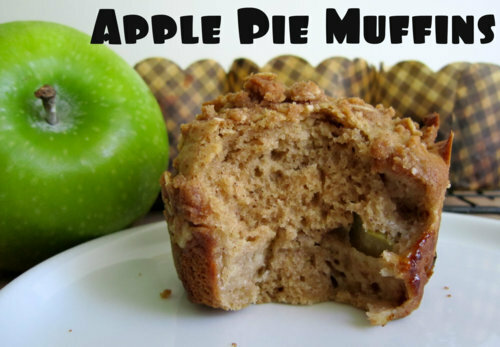 So this Mother’s Day give this easy recipe to your kids and let them and Dad get to work on a yummy breakfast for mom (you). Thanks to Mom on Timeout, Trish, we can now enjoy a delicious restaurant worthy breakfast this Mother’s Day. 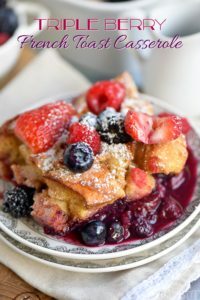 Triple Berry French Toast Casserole is a sweet and simple mom-worthy recipe that will wow even the bestsellers Top Chef! It can be prepared the night before and popped in to the oven in the morning. Then just sprinkle with sugar and garnish with fresh berries and whipped cream to surprise your Mom. Head on over to Mom on Timeout for the full tutorial. Don’t forget to have a sweet setup for mom, including her favorite tea, juice, or coffee. Happy Mother’s Day!! This entry was posted in Food & Recipes and tagged Breakfast, breakfast in bed, mom on timeout, Mother's Day, mothers day breakfast, mothers day recipe, the boys store on May 10, 2017 by Lacy. The holidays are a pretty big deal around here. We try to make them special, after all, our kids are only little once and we want to soak up all the sweet holiday memories we can while they are still interested in participating. We love to create fun dishes that will keep the kids interested in eating, make the meal seem extra special, and give us all a little laugh. For Christmas this year we found this really fun pancake idea on Tumblr. It is simple to make, easy to craft, and will make everyone smile on Christmas morning. Our kids love pancakes, so this was a no brainer, but it would work just as well on waffles or French toast. Just keep the French toast whole instead of cutting it in half. We can make this fairly quickly Christmas morning without a whole lot of stress or time. Plus, we love the idea of cooking all together after opening presents. 1. Take your pancake and place it on the plate. Slice your strawberries, first remove the stem then slice them in half. 2. Take your whip and make a line across the top of the pancake. Now place your strawberries flame side down and cover the top half above the whip line. 3. Next build a beard with your whip on the bottom half of the pancake, leave a blank space in the middle for santos face. 4. Now take your chocolate syrup and draw two eyes and a smile. 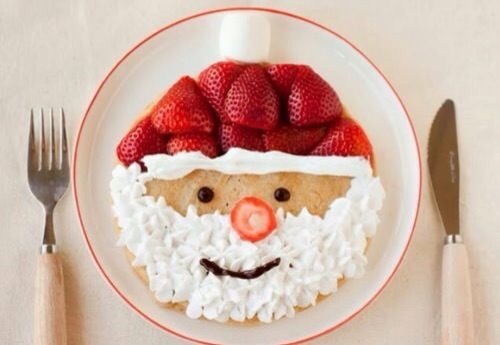 Take a strawberry half and place it in the middle of the pancake for Santa’s nose. 5. Enjoy your sweet Santa pancake! This entry was posted in Activities and tagged Breakfast, christmas breakfast, food, holiday treats, santa pancakes, the boys store on December 7, 2014 by Lacy.